Rukkus ICS-8 blaster features an 8-dart indexing clip! Pump-to-fire 8 darts in a row before reloading! Darts load easily into the front of the indexing clip! Includes: blaster with attached indexing clip and 8 darts! EU Warning: Not suitable for children under the age of 3 years due to small parts which could cause a choking hazard. Do not aim at eyes or face. 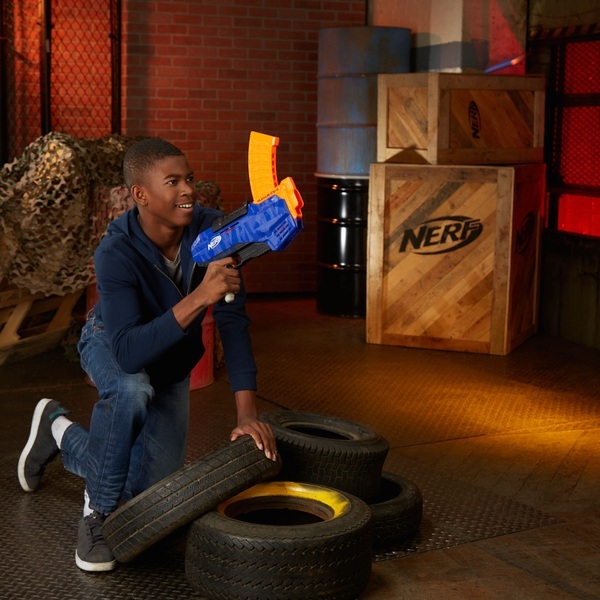 Use only official NERF darts. Other darts may not meet safety standards. Do not modify dart blaster or darts.